My friend Bev recently went on a vacation to Florida with her family. Since she has two young daughters, she wanted to make sure they had plenty to occupy them on the plane trip. So she bought two movies for her daughters on iTunes and downloaded them to her iPad. Turns out the girls slept on the plane ride there and back and never even watched the movies. While it's better to be safe than sorry, I am sure Bev wishes she had her money back on that iTunes movies purchase since her daughters still have not watched those movies that she purchased. I thought of Bev and her experience when I found out Comcast Xfinity has a new Xfinity TV Player App for Apple and Android devices where Xfinity TV subscribers can download movies and TV shows from the Xfinity On Demand library for FREE and watch them on the go - no internet connection needed. Xfinity TV digital customers can download thousands of premium TV and movie choices from SHOWTIME®, STARZ, ENCORE and MOVIEPLEX using the Xfinity TV Player App onto their Apple or Android smartphones or tablets and then watch the content wherever their travels take them - including airplanes, on family car trips, or even on the subway. To test out the app, I downloaded the Xfinity TV Player app from the App Store to my iPad and then used it to find movies for download. 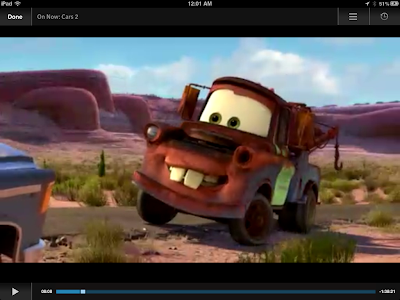 Since I have Starz as part of my Comcast subscription, I have able to use the app to nagivate to just the Starz movie selections and then I selected the movie "Cars 2" to download to my iPad. I was given two file size options for download of the "Cars 2" movie - medium quality at 400mb and high quality for 600mb. I choose the medium quality file size of the movie and the download took about 7 minutes to complete over my Comcast cable Internet connection. Once the download was complete, I used the Xfinity TV Player app to watch, pause and resume watching the movie with no issues. The Xfinity TV Player app can resume the movie from the point where I left off if I shut the player down. The best thing about that the Xfinity TV Player app is now I can use it to watch FREE movies on my iPad while I am waiting for my son to finish his Karate class. And since downloading and watching Xfinity On Demand movies on-the-go is FREE with my Comcast service, I won't feel bad if I or my son don't get around to watching the movies right away - unlike Bev's purchase for her daughters. All Xfinity customers can download content over an available WiFi Internet connection. 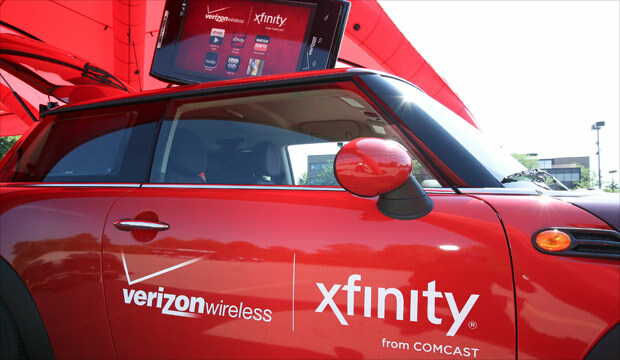 In addition Comcast and Verizon Wireless have teamed up to offer Verizon Wireless customers the flexibility to download and stream Xfinity content directly to mobile devices over its 4G LTE network. - It's great to able to watch Comcast On Demand content on mobile devices as a download for on-the-go viewing. - You will need a smartphone or tablet with a fast processor to watch the downloaded movies. I downloaded a movie to an older Android tablet with a single core processor and the movie did not play correctly - the voices did not sync with the action. Dual and Quad core processor devices played the movies clear and smooth. 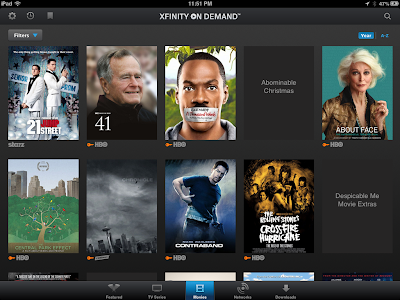 The Xfinity TV Player app is designed for customers who are on-the-go and want to watch thousands of downloadable Xfinity On Demand choices currently available. 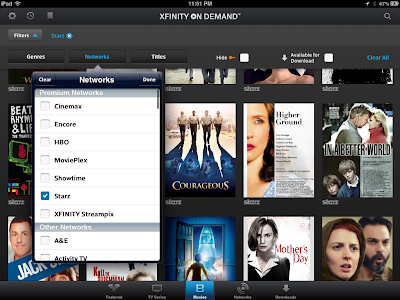 The Xfinity TV Player app can be downloaded FREE-of-charge on Google Play and Apple iTunes. Learn more about the Xfinity TV Player app at this link.